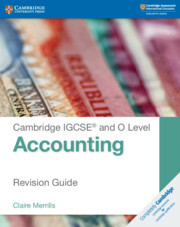 This revision guide provides students with opportunities to consolidate their understanding of Accounting theory and boost confidence when applying it. 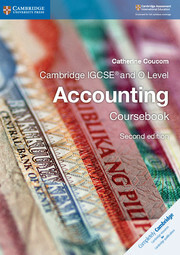 The guide is structured around the coursebook, covering all syllabus topics including financial statements, irrecoverable debts and the different types of company. 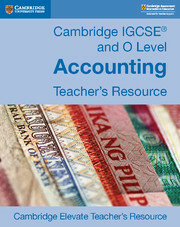 Sample questions and answers help students master Accounting principles in their revision, while exam-style questions give them plenty of opportunity to apply their skills. 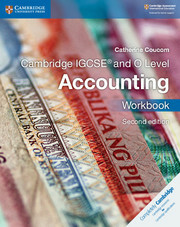 Answers to the Progress check and exam-style questions are at the back of the book, so students have the freedom to study in their own time. Exam-style questions and Progress check questions provide students with plenty of opportunities to apply their skills and boost confidence in the subject. Sample questions and answers help students master Accounting principles by explaining how to approach different questions. Answers at the back of the book provide students with the freedom to revise when they choose without the need for help from the teacher. 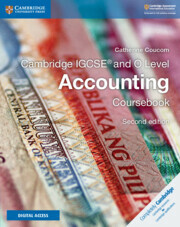 Tips provide contextual information about Accounting topics, making it easy for students to prepare for examination. Answers to progress check questions.